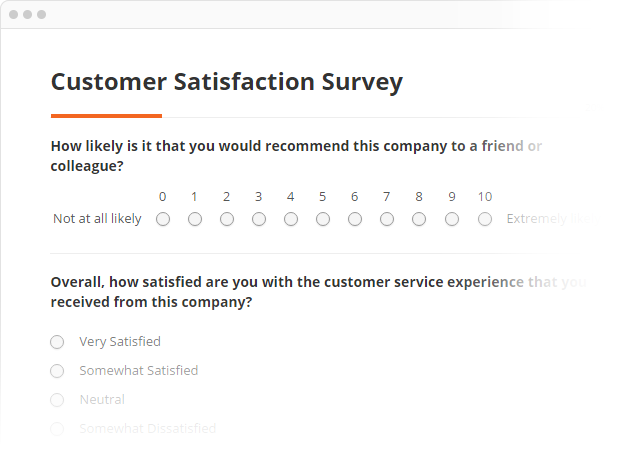 Create any type of survey, whether simple or sophisticated. Then collect and analyse your data securely using our advanced reporting tools. Get real-time feedback to retain business and build brand loyalty. Identify trends, validate research and drive improvements. Trusted by leading companies and brands worldwide. More than 150,000 people rely on SmartSurvey to collect data online. If you would like more information then please get in touch, or you can call us on 0800 0937 822.